Sometimes comic fans go over and above while doing business with me. Here’s a look at some cool art that’s been sent to me. Along with syntheticsarcasim‘s payment for the Tick #1-12 (a great score, by the way! 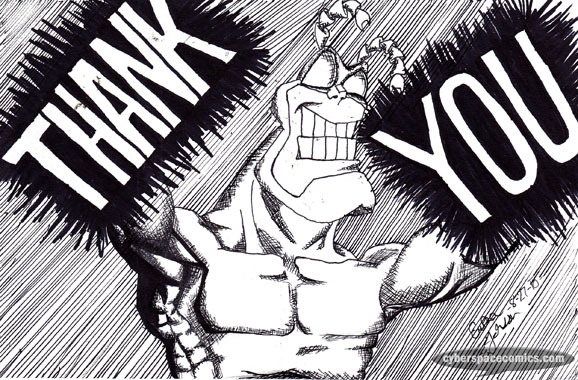 ), she sent this very cool, hand-drawn ‘thank you’ note featuring everyone’s favorite big, blue bug of justice. Enjoy!